Two convenient front-panel mic/guitar inputs are equipped with pristine, transparent preamps and offer individually adjustable 48V phantom power and -20 dB pad. 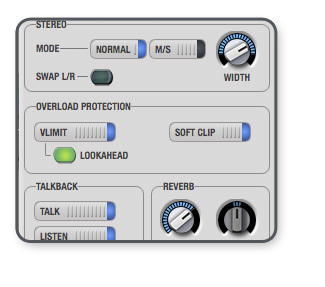 All settings can be adjusted directly on the front panel, or from the 828x CueMix FX software running on your computer. 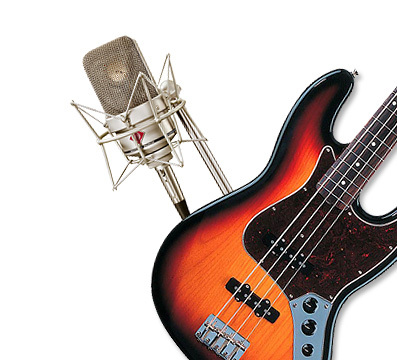 Mic inputs can be operated individually or in stereo pairs, as needed. 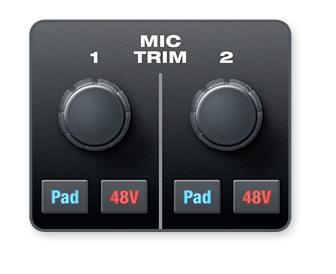 The two mic inputs are combo jacks that also accept quarter-inch plugs from a guitar or bass, without an amp or cabinet, so you can run your guitar input through amp/cab simulation plug-ins in your host software. 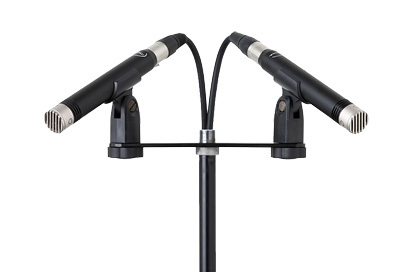 Each mic input has individual 48V phantom power, -20dB pad and preamp gain to give you maximum flexibility with the microphones you choose to work with. You get the best of both worlds: analog trim with digital precision and control. The 828x preamps provide 53 dB of gain, which you can adjust in approximately 1 dB increments using the detented digital rotary encoder. As you turn the encoder, you see graphic and numeric feedback in the front panel LCD, so you know exactly how much gain you are applying. The gain adjustment itself is smooth because it is analog, but the digital control gives you both precision and the ability to save and recall trim settings. Both mic/guitar inputs are equipped with V-Limit™, a hardware limiter that helps prevent digital clipping from overloaded input signals. With V-Limit enabled, signals can go above zero dB (where limiting kicks in) to as high as +12 dB above zero with no distortion due to digital clipping. 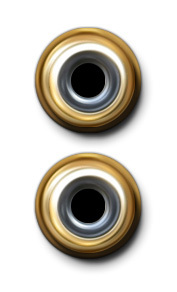 Additional protection can be applied to the mic/guitar inputs by enabling the 828x's Soft Clip™ feature, which engages just before clipping occurs and helps reduce perceptible distortion. 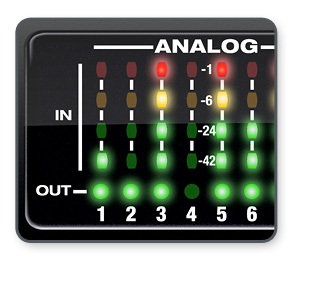 Eight balanced (TRS) 24-bit analog inputs and outputs, as well as two XLR main outs and the two preamp inputs, can operate at sample rates up to 192 kHz (a total of ten analog inputs and outputs). 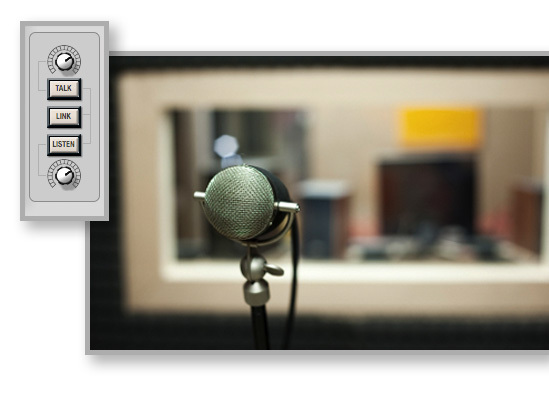 Connect your primary, powered studio monitors directly to the XLR main outs. Add additional pairs of monitors to the TRS outputs. Control volume from software or the front-panel MAIN VOL control. 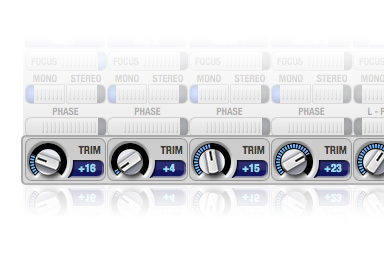 Choose any combination of outputs to control from the front panel and your software. A second phone jack can be life-saver when you need to finish the mix with your colleague in close proximity to family or neighbors you don't want to disturb. The top phone jack always mirrors the main outs, and the "MAIN VOL" knob controls both. The bottom phone jack has added flexibility: it can mirror the main outs with independent volume control, or it can mirror any other 828x output pair. Two optical banks provide 16 channels of ADAT optical at 48 kHz, 8 channels of S/MUX optical I/O at 96 kHz or two banks of stereo TOSLink (optical S/PDIF) at rates up to 96 kHz. Each optical input and output operates independently, allowing you to mix and match any optical formats, in and out. 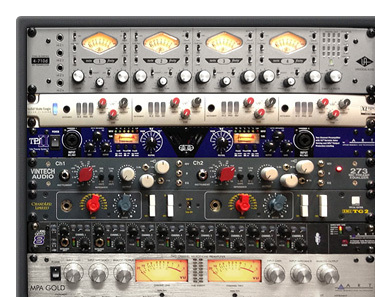 Stereo digital transfers are an essential fact of daily studio life. The 828x's standard RCA S/PDIF input and output make stereo digital transfers a snap, with optional external clocking and support for sample rates up to 96 kHz. 828x balanced I/O connections are well-protected against RF interference, AC hum, and other noise-producing environmental factors.